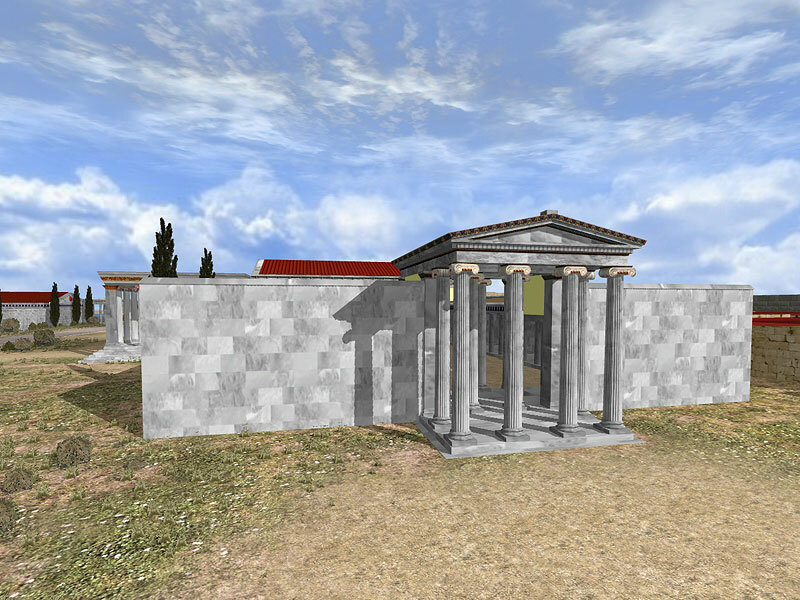 The so-called Gymnasium of Eudemus, the central Gymnasium of the city, was built to the east of the North Agora around the first half of the 2nd century BC and was funded by the notable Milesian Eudemus.The Gymnasium complex was accessible through a monumental propylon situated on its south side . 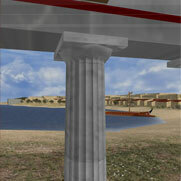 The propylon was erected on a five-step crepis, with four columns at the front, and two on each side. The Gymnasium was built around an open-air rectangular palaestra measuring 19X35 metres, surrounded by a stoa with Doric columns. 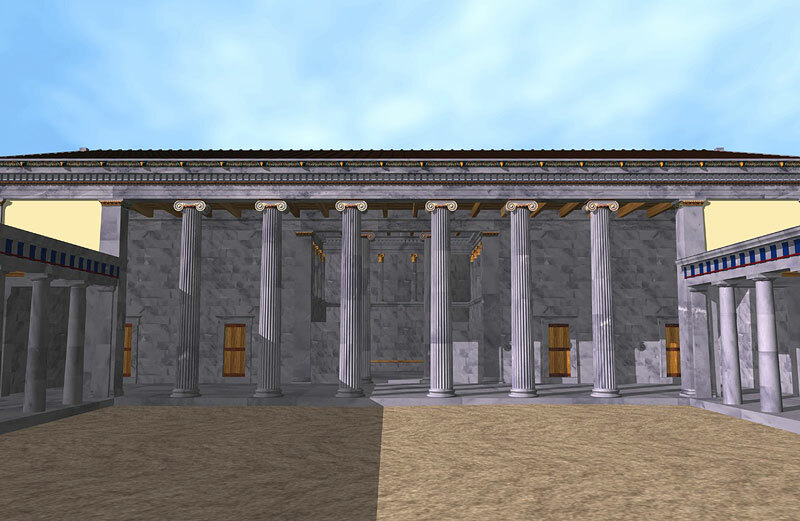 The main building of the Gymnasium was on the northern side and included a row of rooms behind an Ionic colonnade. 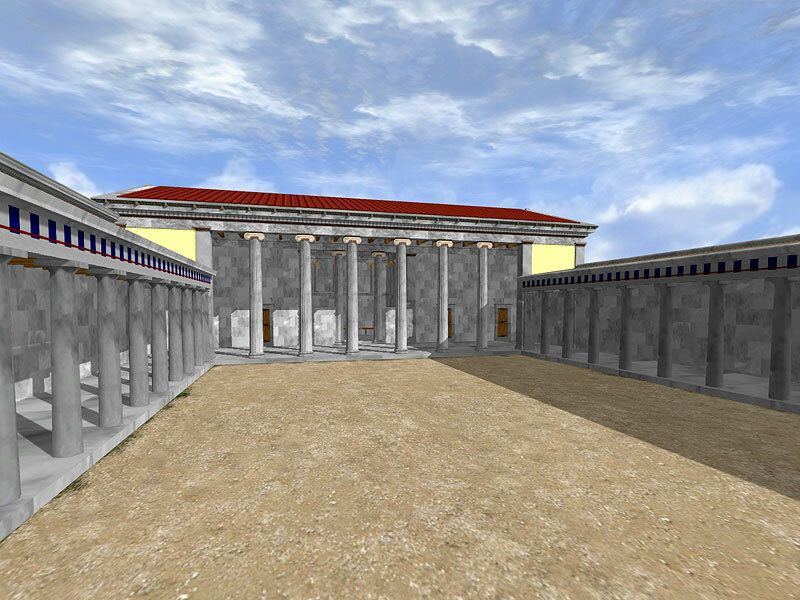 The Ephebeion, the institution where adolescents received instruction, was at the centre. 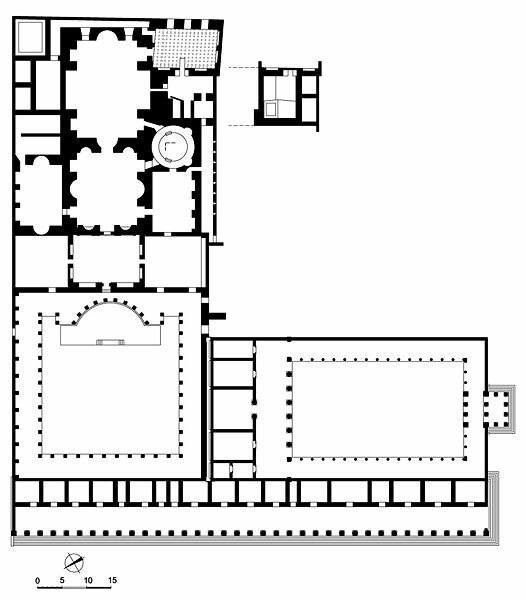 On both sides there were the apodyteria, the aleipterion ("anointing room") – and the bath – the essential auxiliary spaces of the ancient Greek gymnasia. 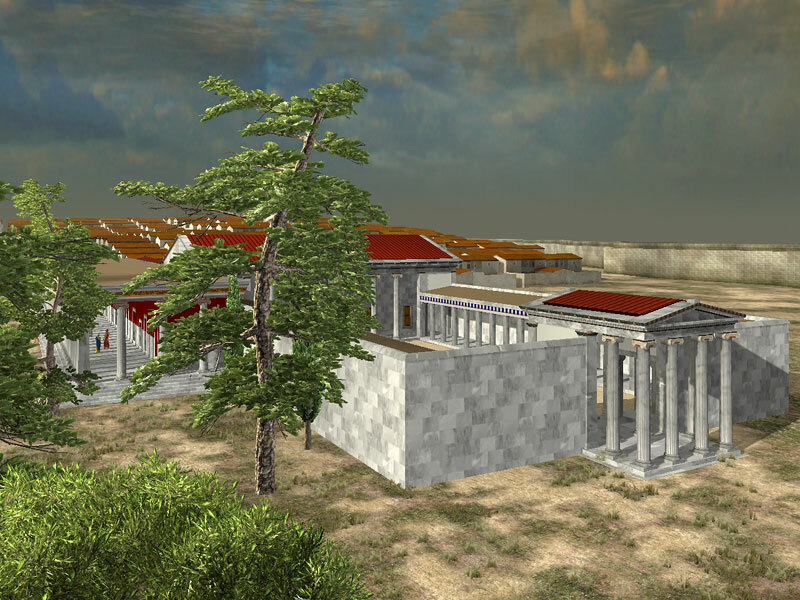 The Gymnasium building complex is characterised by its axial symmetrical arrangement, comparable to that of the Bouleuterion (2nd century BC), and served as a model for the design of the Capito Thermae (1st century AD), situated north of it. Ornamenting the east side of the Sacred Way, the monumental Ionic Stoa was built along the adjacent west side of the Gymnasium and the Thermae, in the middle of the 1st century AD.